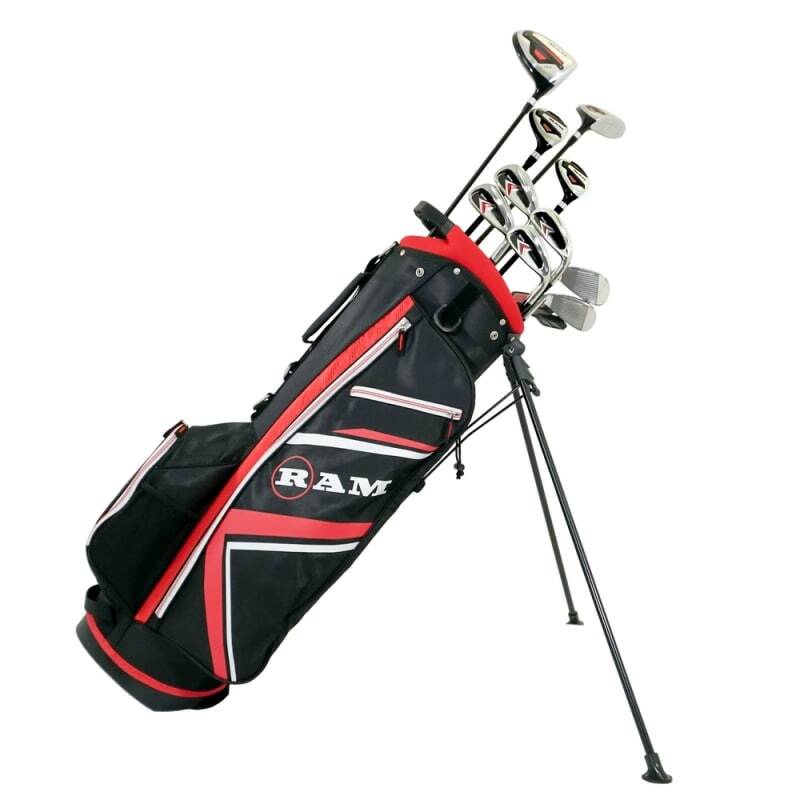 The Ram Golf Accubar sets are a step up, delivering premium quality golf clubs and equally deluxe bags and headcovers. 10.5° loft with oversized head. Built for distance when you pure it, and forgiveness when you don't. The good's great, and the bad's less bad. Matching headcover included. 100% graphite shaft. Highly forgiving design with lower centre of gravity. Matching headcover included. 100% graphite shaft. 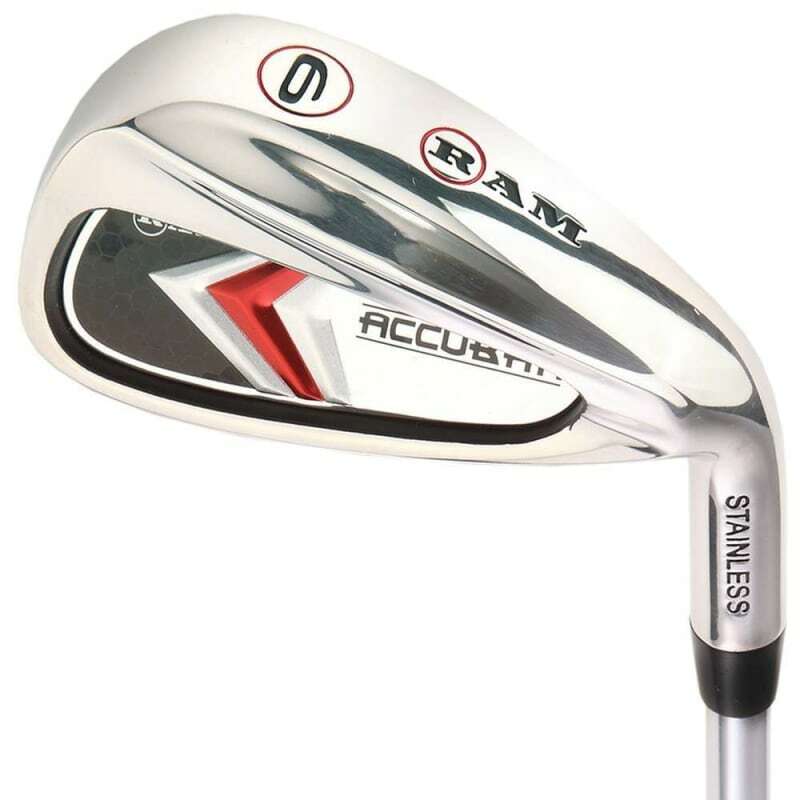 #4 and #5 HYBRID (24° and 27°) Versatile club replaces the longer irons. 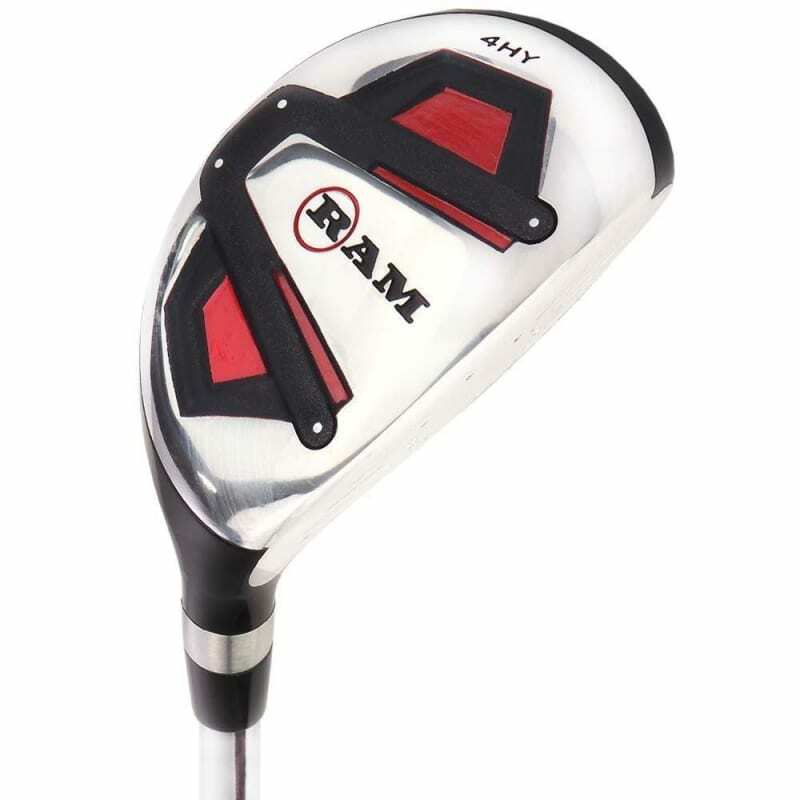 Fitted with 100% steel shaft. 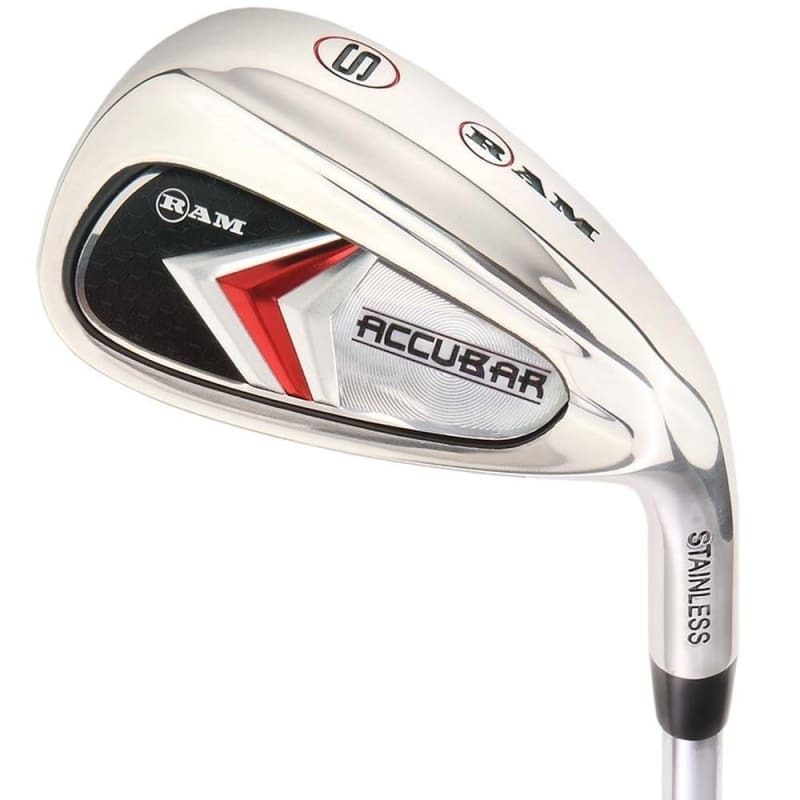 IRONS - 6-7-8-9-Pitching Wedge-Sand Wedge. 6 stainless steel irons with cavity back design gives you a higher moment of inertia so even if you don't hit it out the middle every time, you'll still find lots of consistency. Regular flex steel shafts and standard size grips. Mallet style putter helps move weight further back and wider, promoting stability through the putting stroke. The alignment design helps you set the ball off on the right track with a nice smooth roll. Completing the set is a matching stand bag. 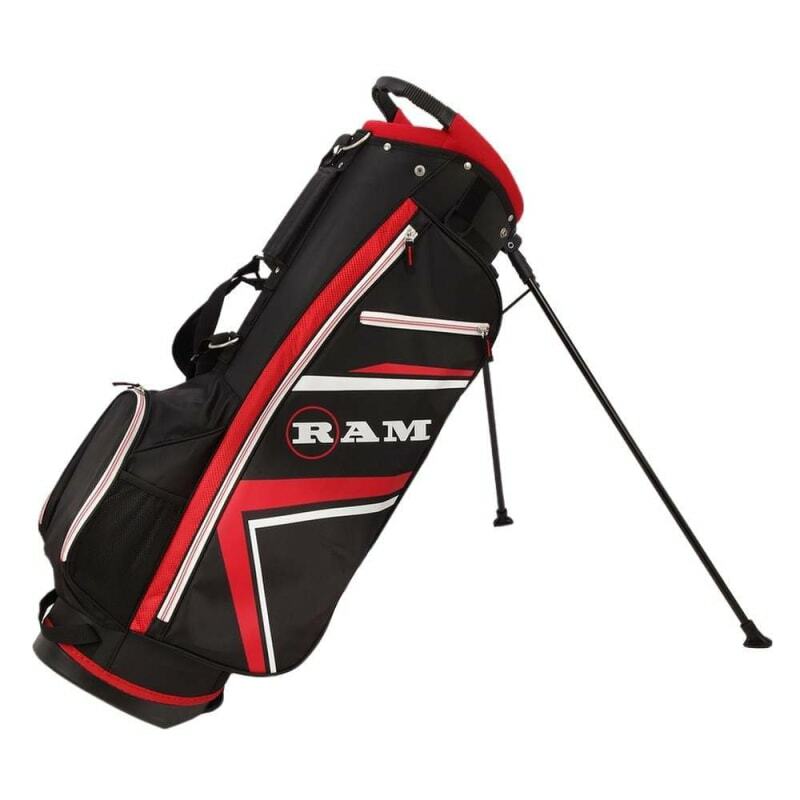 With plenty of external pockets, dual shoulder straps and automatic pop out legs, this is a quality bag for a quality set of golf clubs.